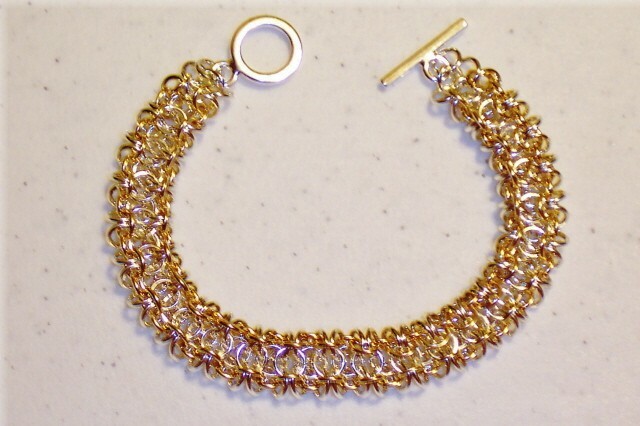 The Gridlock Byzantine Bracelet is a beautiful bracelet that will probably quickly become your favorite to wear. For those who are newer to chain mail, it is easiest to learn if you utilize the two tone kit first so that you can see the different ring colors as you weave the rings. It is more challenging and is considered an intermediate weave. The clasp is not included in the kit.